The Red Lodge Inn is located in scenic tranquility across from historic Rock Creek where the air is clean and fresh and the Beartooth mountains tower in grandeur all seasons. 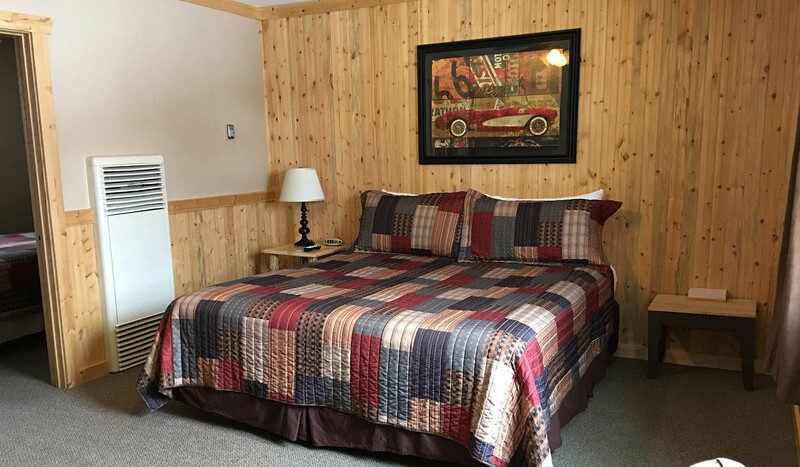 The Red Lodge Inn offers large, clean non-smoking rooms on one level. Available in queen, king, kitchenettes and suites. Each room offers Wi-Fi, cable TV, mini-fridge, and microwave. We have a large outdoor hot tub and barbecue facilities. Bike and car wash station available in the summer. Outside plug-ins are available in the winter. Free coffee and continental breakfast in the office. We are a family-owned motel with genuine hospitality and local owners. Come experience the best hospitality in the west. Rates vary seasonally. Summer rates range from $100-$145 plus tax. *Some rooms have a Jacuzzi tub.